A great deal of wearable electronics these days seem interesting, even life changing, but most still look and feel awkward and clunky. That is quickly changing. What if a new industry could provide postage stamp size sensors or “biostamps” that could be worn by babies, the elderly, athletes and even animals, allowing real time monitoring and management of people’s health and vital signs so they visit a doctor only when and if needed? And that is just the start. The apparel industry can utilize biostamps in many new and creative ways. You can see an example of what Reebok is doing from the image below. In sports, impacts are a part of the game. Reebok CHECKLIGHT™ alerts athletes, coaches, athletic trainers and parents to the severity of impacts. Sensors that are directly coupled to the head to help reflect direct accelerations that the head, not a helmet or chin strap, experiences. 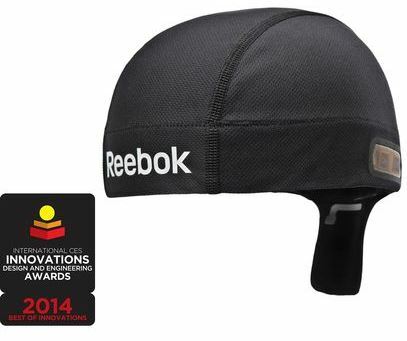 Learn more about Checklight at the Reebok website. Learn more at the Industry Tap article Bendable, Wearable, BioStamp Revolution.